Alibaba Cloud Server Load Balancer (SLB) distributes traffic among multiple instances to improve the service capabilities of your applications. You can use SLB to prevent single point of failures (SPOFs) and improve the availability and the fault tolerance capability of your applications. 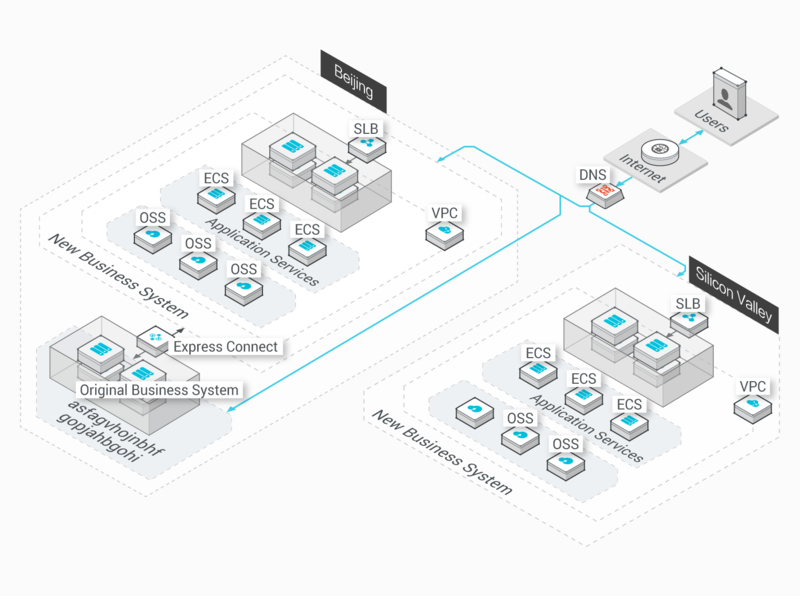 Supports high availability across zones and failover within 30 seconds. Supports automatic traffic distribution among multiple instances to improve the servicing capabilities of your applications. Provides multiple billing standards, billing methods, and service management approaches. Provides guaranteed-performance instances and supersize instances. Supports multiple protocols to meet your business needs. Supports Layer-4 load balancing over TCP or UDP and Layer-7 load balancing over HTTP or HTTPS. Provides a centralized HTTPS certificate management system to ensure reliable and secure data transmission. Supports multi-layer disaster recovery and high availability. Supports periodical instance status check. When SLB detects a faulty instance, it stops distributing traffic to the instance to ensure the availability of your service. Supports multi-zone deployment in specific regions to implement same-city disaster recovery. Supports cluster deployment and instance session synchronization to upgrade and perform maintenance on instances and clusters with zero service downtime. The first cloud computing vendor that provides guaranteed-performance instances. Provides multiple types of guaranteed-performance instances with dedicated resources. Provides supersize instances to offer better performance. Supports multiple scheduling algorithms and distribution modes to improve the efficiency of application deployment. Supports the weighted round-robin and least-connections scheduling algorithms. These algorithms allow you to distribute traffic based on your business needs. Distributes traffic based on domain names and URLs to improve the efficiency of your applications. Redirects a client’s requests that have been received within a specified period of time to the same instance to maintain the session. Supports load balancing over TCP to maintain sessions. Supports load balancing over HTTP or HTTPS to maintain sessions. Supports multiple instance types and billing methods to meet your business needs, and provides multiple methods for you to manage SLB. Supports the automatic distribution of mass video and audio. Users using video and audio playback clients need to frequently interact with casters in real time. Mass requests from users may cause a broadcasting service instability. This poses a great challenge to the flexibility, stability, and availability of the entire broadcasting system. Allows you to dynamically add or remove instances based on the amount of traffic. Distributes mass traffic among multiple instances to meet your business needs. Supports health check to block malfunctioned instances in real time and improve the stability of your applications. Game services always need to load a large amount of static resources, such as pictures. You can use CDN to accelerate access to static resources for players globally. Burst traffic occurs when players interact with each other in a game. You must use SLB to distribute the traffic to ensure latency-free in-game interaction. Distributes dynamic requests among multiple instances in real time. Works with Object Storage Service (OSS) to cache static content and incorporates CDN to optimize route selection and accelerate static content delivery. Alibaba Cloud DNS allows you to direct requests to relevant business systems across regions through intelligent address resolution. SLB enables you to distribute mass traffic and build a multi-layer disaster recovery architecture across regions and zones. The GEO DNS service can return the optimal IP address to users. This allows the users to quickly and smoothly access the website. Distributes mass traffic among multiple instances to meet the requirements of business development. Supports cross-region high availability based on Alibaba Cloud DNS and cross-zone high availability based on SLB. SLB deploys instances across regions and uses these instances to load share mass user requests received on your video website to ensure the stability of your business. However, you must ensure high-speed interconnections between these instances. Express Connect provides a bandwidth of 10 GB for intercommunication between VPCs. This allows you to use a large amount of applications. Distributes traffic among multiple instances to improve the capability of horizontal scaling.